This Interview is especially for all my “Smokin Acez” Fans & Supporters, As some of you may know i have been on a mission to find out where Smokin Acez has got to and well….. lets just say i found them..well One half of Smokin Acez, which is good enough right, so let me Re-Introduce you to “SupremeBG”. 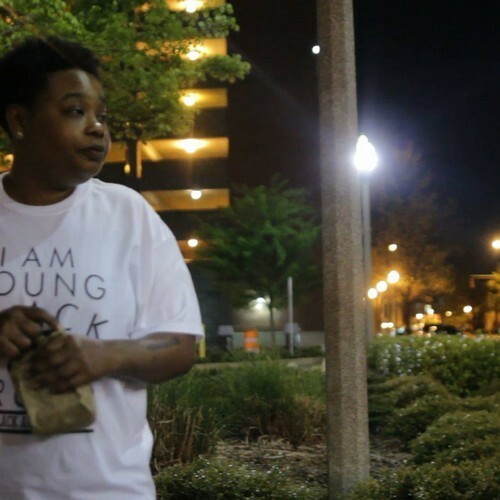 LGBTUnderground caught up with SupremeBG and found out about some new music projects and will there ever be a Official “Smoking Acez” Mixtape? LGBTUDRGRD: Hi, how’s it going? SBG: Everything is Everything family, I cant complain at all. LGBTUDRGRD: Can you give us a quick introduction of yourself for our readers? SBG: Most definitely, Im Supreme BG. Most people are probably familiar with me from The Duo “Smokin Acez” .Representing Birmingham,Al. Been doin this music thing for about 9 years now. LGBTUDRGRD: Ok so you may not know this but I have been on the mission to find out “Where Smokin Acez has got to” can you let us know what you have been up to with your music lately? SBG: Growin lyrically, tryin to perfect my craft, and find my voice. Being independent,sometmes you have to take a small break from the scene and make sure your life business is handled properly. I know you can dig that. LGBTUDRGRD: Iv been on the hunt for a SA mixtape , Will there ever be an Official “Smokin Acez” Mixtape? Or is that it for you guys? SBG: It will never be it for us. I will say this tho I don’t have a time frame for that project, but it will happen and it will be something that I Know our fans will be proud of. LGBTUDRGRD: So with this new project you have been working on, how would you describe your music and What inspires you to create the type of music you make? SBG: In 3 words Id say its…still… authentic,original,and informative. As you get older, you start to see things differently tho, you become a bit more aware and passionate about whats goin around you. That’s basically what my music will reflect. LGBTUDRGRD: What do you want to achieve with your music? SBG: Short Term focused on being able to sustain myself solely from the music. To make the kind of impact a true artist wants to make,It takes lot of time dedicated to the craft AND money. Thats difficult when you working 3 jobs to support yourself and fund the music. Its life tho, and we maintain. But Ultimately, I want this music to open up countless doors for me not only in the entertainment industry. I feel Ive got a lot to offer the world and music is just the beginning. LGBTUDRGRD: What do you enjoy the most; Writing, Recording or Performing? LGBTUDRGRD: Lol right!!! So what sets you apart from other Artists? SBG: I think one thing is I recognize the power we as artists have. And I see a lot of artists following trends to fit a mold. Scared to stand alone. And me…Im outchea! LGBTUDRGRD: What do you think of the Music Scene Right Now as a whole? SBG: I think its very diverse. I think its a lot of talent coming out daily . And so much of it is underground. I mean if youre a radio listener of course you’ve got the same few songs being played repeatedly. But if you are one that truly loves the culture, you know its all types of talent everywhere. True talent. LGBTUDRGRD: Do you think it’s harder to make it in this industry as a (Female) Artist? SBG: Not necessarily. Im a believer that hard work and perseverance will get you wherever you want to be. You just gotta stay down and stay with it. Its all about the respect u show yourself, and that’s the respect you have to demand. LGBTUDRGRD: How important do you think it is for new artist’s to know their history and appreciate the different elements of music? SBG: Oh im a advocate for knowing your history period. And as it pertains to music I do think you should be well versed in whatever genre your apart of. And always pay homage. LGBTUDRGRD: Do you think it is important to have a website like LGBT Underground? SBG: Mos def, It gives us an outlet. One where we can get straight to the masses that we appeal to. LGBTUDRGRD: Are there any plans for any Collaboration with Other LGBT Artists anytime soon or do you know of any LGBT artists to listen out for? SBG: Siya got a cold flow, a cat out of New Jersey named Te super cold with it. Im open to collaborating with any artists who take this music serious. Lets link and make some history. LGBTUDRGRD: If you wasn’t making music what do you think you would be doing with you life right now? SBG: So many things come to mind, I cant just call one. But music, is the the one thing im definite about. If im not doin it, everything pretty much out of order. LGBTUDRGRD: What advise would you give other up & Coming Artists? SBG:Anything is possible, don’t listen to a clown who say it aint. LGBTUDRGRD: Any final words / shutouts before we finish? SBG: Shout to my city Birmingham always the whole Alabama.. Big Shout to you and the whole LGBTUnderground for having me…And Luv to everybody rockin and ridin with a playa. Ive got a lot in store.